What are the magnitudes and distributions of North American carbon sources and sinks on seasonal to centennial time scales, and what are the processes controlling their dynamics? It will quantify the magnitudes and distributions of terrestrial, freshwater, oceanic, and atmospheric carbon sources and sinks for North America and adjacent oceans; enhance understanding of the processes controlling source and sink dynamics; and produce consistent analyses of North America’s carbon budget that explain regional and continental contributions and year-to-year variability. This program is committed to reducing uncertainties related to the increase of carbon dioxide and methane in the atmosphere and the amount of carbon, including the fraction of fossil fuel carbon, being taken up by North America’s ecosystems and adjacent oceans, including uncertainty regarding the fraction of fossil fuel carbon. More information about NACP is available from the NACP website. 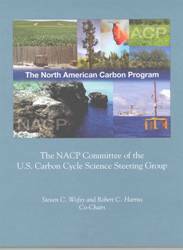 The report on the North American Carbon Program (Wofsy and Harriss, 2002) provides the scientific rationale for a coordinated surface and space observational program, land and ocean observation and experimental study, numerical modeling, and data assimilation effort for the terrestrial, coastal ocean and atmospheric components of the carbon cycle over North America and adjacent ocean basins. The report was prepared at the request of the Carbon Cycle Scientific Steering Group (CCSSG) and the Carbon Cycle Interagency Working Group (CCIWG). The report outlines a strategy to implement a principal recommendation of the U.S. Carbon Cycle Science Plan (Sarmiento and Wofsy, 1999). The central objective is to measure and understand the major reservoirs, sources, and sinks for carbon dioxide, methane, and carbon monoxide in North America. The goals are to develop quantitative scientific knowledge, robust observations, and advanced numerical models to determine the emissions and sinks of these gases, changes in carbon reservoirs, and the factors regulating these processes, and to develop the scientific foundation to implement full carbon accounting on regional and continental scales. This is the knowledge base needed to design effective monitoring programs for natural and managed carbon dioxide sinks and emissions of carbon dioxide, methane, and carbon monoxide; to support long-term quantitative measurements of fluxes, sources, and sinks of atmospheric carbon dioxide, methane, and carbon monoxide; and to develop better forecasting capability for future trends. 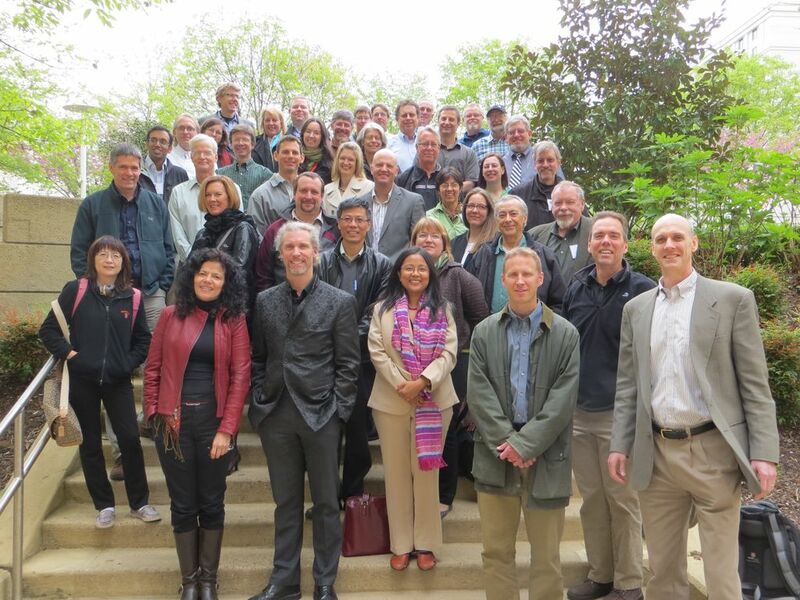 The program is also designed to advance science for other critical problems on the large-scale emissions, transformations, and long-range transport of pollutants; changes in species composition, health and productivity; the vulnerability to fire and drought of forests, croplands, and wild land; and forecasts of weather and climate. 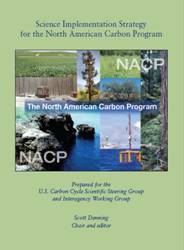 The Science Implementation Strategy for the North American Carbon Program (Denning et al., 2005) builds on the NACP report (Wofsy and Harriss, 2002). The implementation strategy is organized around four major themes: diagnosis, attribution/process, prediction, and decision support. The results will contribute to an integrated and well-tested system for understanding, monitoring, and predicting carbon fluxes over North America and the adjacent coastal ocean, and for providing timely and useful information to scientists, agencies, policymakers and other stakeholders in the carbon cycle and climate change.